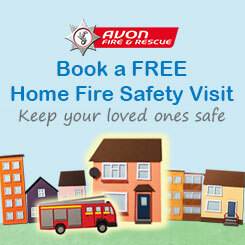 Avon Fire and Rescue Service (AF&RS) is supporting Register My Appliance Day and is keen to remind local residents to take a few minutes to register the large appliances they rely on every day. New research published by the Association of Manufacturers of Domestic Appliances (AMDEA) has specifically looked at multiple-ownership where between one and four of each type of appliance is in use in homes. As we don’t necessarily de-commission an old appliance when we buy a new one, this has allowed for revised and more accurate estimates of the vast number of large white goods currently running in GB households. Households have become so reliant on freezers, perhaps because they offer us the benefits of faster home cooking and less food waste, that over 2 million homes now own four freezers. If you are wondering who has the space, nearly one third (29%) of these households keep a freezer in the garage or shed. Register My Appliance is a safety initiative designed by AMDEA to make it quicker and easier to register over sixty leading brands of appliances, directly with the manufacturer. The majority of manufacturers now offer registration on products up to 12 years old to address the lack of ownership information on many older products. Steve Quinton, Risk Reduction Group Manager for AF&RS, emphasises that it is never too late for this important safety precaution. He said: “We know that appliances are kept for many years and very few people realise that they can register older models. “We have been working hard to help our local communities to understand why registration is so important. The older a machine gets, the more likely it is to need repairs, updating, or become a risk to a household. “These are the products that are most difficult to trace if a safety repair is ever needed and only their current owners can let manufacturers know that they have them. In a small number of cases, manufacturers may identify problems with a model once the product has been in use for some time. They then need to contact owners to get the fault corrected as quickly as possible. Normally a quick in-home fix by a qualified technician will remove any risk, but it can be very difficult to trace customers, particularly if they purchased some time ago. AF&RS hope to help the local community understand why getting their appliances on record is a New Year’s resolution worth keeping.